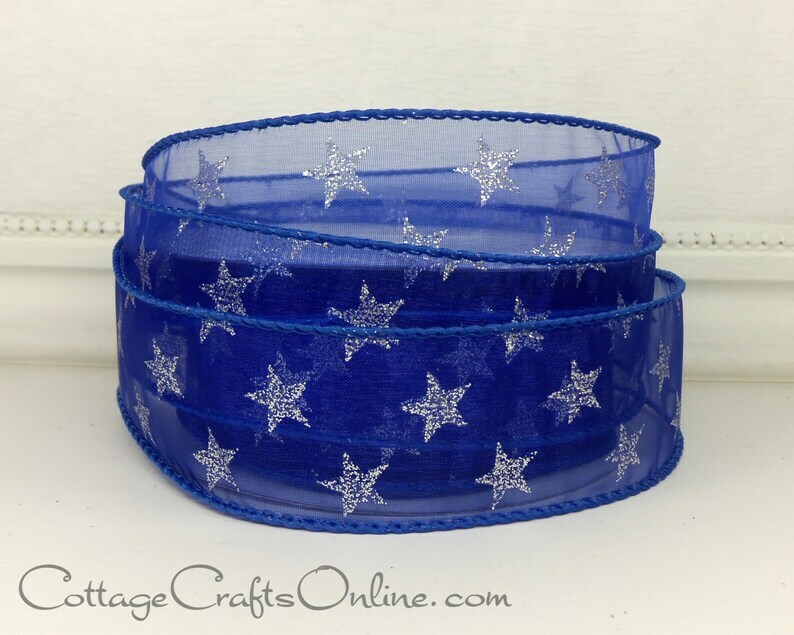 Silver glitter stars on a royal navy blue sheer wired edge ribbon, 1 1/2" wide. Useful for 4th of July, Veteran's Day, President's Day and other patriotic occasions. This listing is for a 3 yard length.